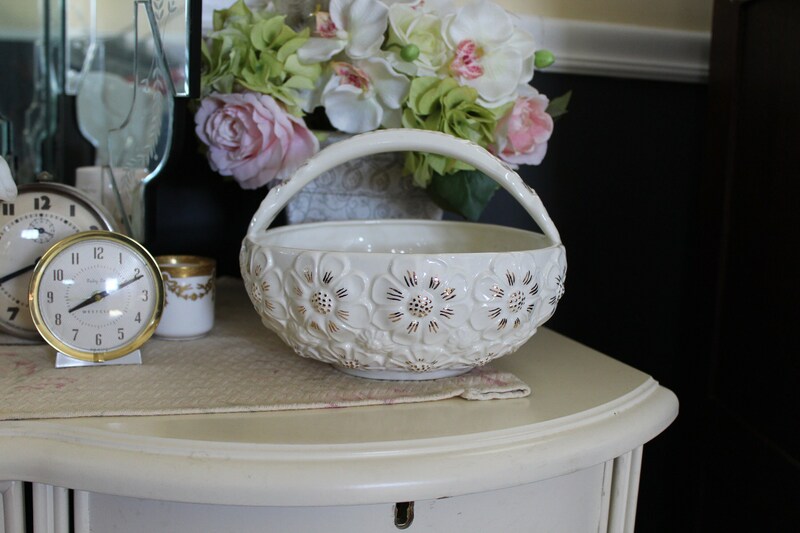 This vintage white basket is made out of ceramic with raised gold metallic flowers. They look like daisies. It would look lovely in your white farmhouse kitchen, nursery, or garden room. It would make a pretty Easter basket. Use it as a fruit bowl. This white ceramic basket or bowl is in excellent vintage condition. Please use your zoom for a good look. About 6 1/2" high to the top of the handle. If you buy both, I will combine shipping. Please contact me for a quote or I will refund you any overages.